AFRICAN MUZIK MAGAZINE AWARDS (AFRIMMA) is the sole award ceremony in the Diaspora that caters to all African music. 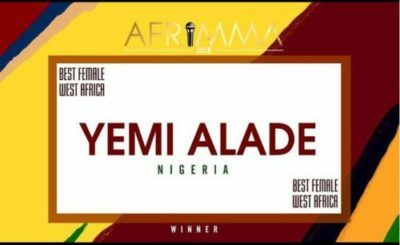 This last weekend on Sunday, AFRIMMA held it awards in Dallas, Texas where different artistes bagged one award or more at the event. 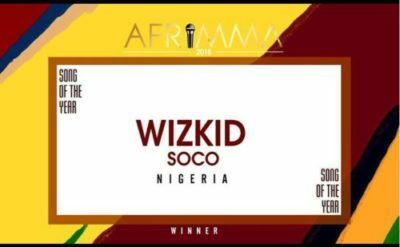 Davido with Yemi Alade won the Best Male and Female West Africa artiste respectively, Starboy’s Soco bagged two awards for the Song of the year and best video of the year as Burna Boy, Flavour, Masterkraft, DJ Ecool, Didi Emah also emerged winners in their various categories.